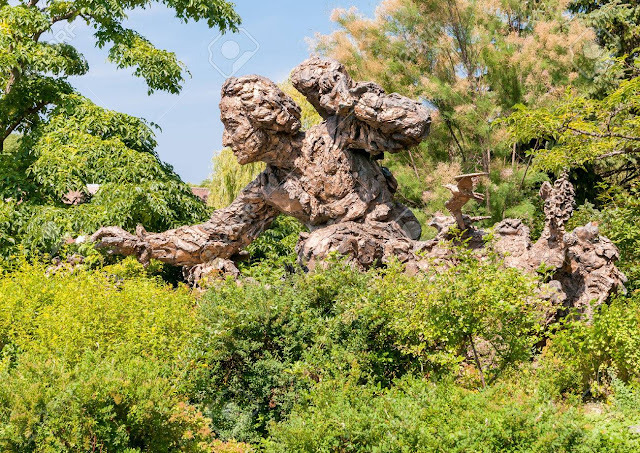 The Digital Research Library of Illinois History Journal™: The Carl Linnaeus Sculpture in the Chicago Botanic Garden in Glencoe, Illinois. 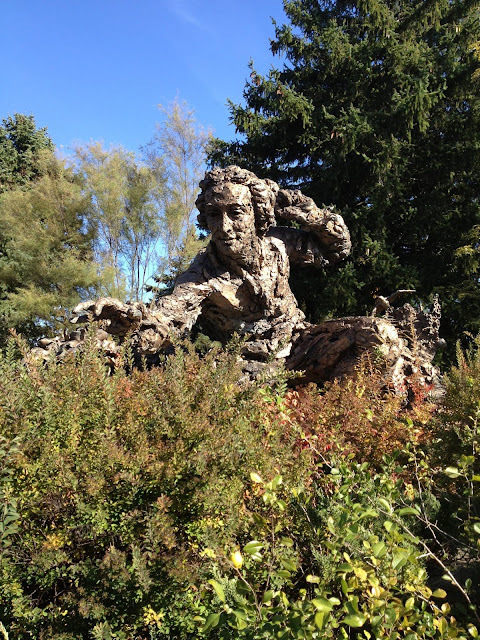 The Carl Linnaeus Sculpture in the Chicago Botanic Garden in Glencoe, Illinois. The figure of Carl (Carolus) Linnaeus  (1701-1778) looms large in the history of science and is appropriately placed in the 'Heritage Garden' at the Chicago Botanic Garden in Glencoe, Illinois. 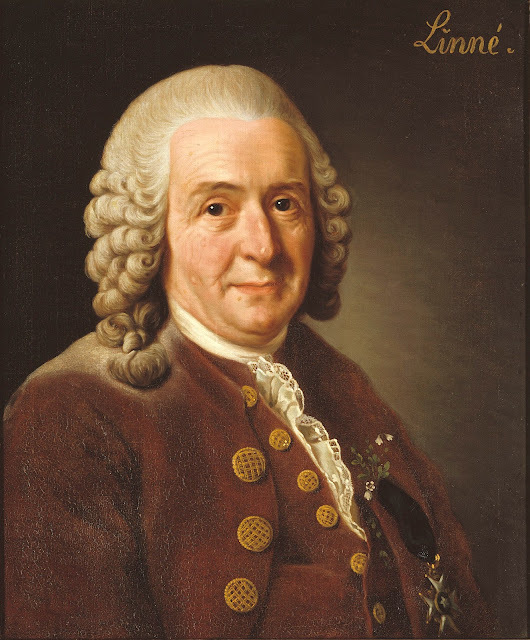 Linnaeus, a Swedish botanist, physician, and zoologist, who formalized the modern system of naming organisms (plants and animals) called binomial nomenclature that is still in use today. He is known by the epithet "father of modern taxonomy." He is shown reaching eagerly toward the plants in his path with a collector’s enthusiasm. The prominent bird in the sculpture — a golden plover, which can fly for thousands of miles — refers to the many students of Linnaeus who traveled the globe collecting plants for him to name. Robert Berks (1922-2011), an American artist, created this bronze sculpture in 1982. The sculpture was a gift from Mrs. Arthur C. Nielsen, Sr. to the Chicago Botanic Garden. The Chicago Botanic Garden traces its origins back to the Chicago Horticultural Society, founded in 1890. Using the motto "Urbs in Horto," meaning "city in a garden," the Society hosted nationally recognized flower and horticultural shows; its third was the World's Columbian Exposition Chrysanthemum Show, held in October of 1893 in conjunction with Chicago's World's Fair. After a period of inactivity, the Chicago Horticultural Society was restarted in 1943. In 1962, its modern history began when the Society agreed to help create and manage a new public garden. With the groundbreaking for the Chicago Botanic Garden in 1965 and its opening in 1972, the Society created a permanent site on which to carry out its mission. The Garden today is an example of a successful public-private partnership. It is owned by the Forest Preserve District of Cook County, located in Glencoe and operated by the Chicago Horticultural Society. 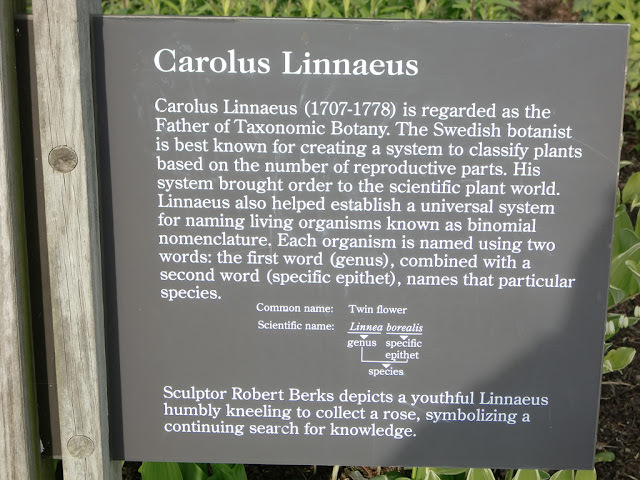 Carl Linnaeus also known after his ennoblement as Carl von Linné. Many of his writings were in Latin, and his name is rendered in Latin as Carolus Linnæus (after 1761 Carolus a Linné).